A Group Of Armed Vikings, Standing On The River Shore With Cloudy.. Stock Photo, Picture And Royalty Free Image. Image 62779174. 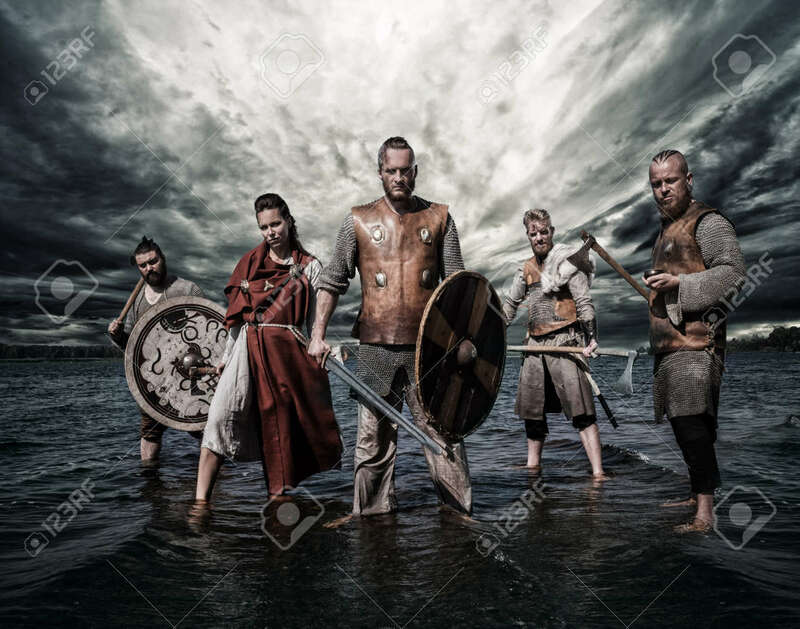 Stock Photo - A group of armed Vikings, standing on the river shore with cloudy background. A group of armed Vikings, standing on the river shore with cloudy background.